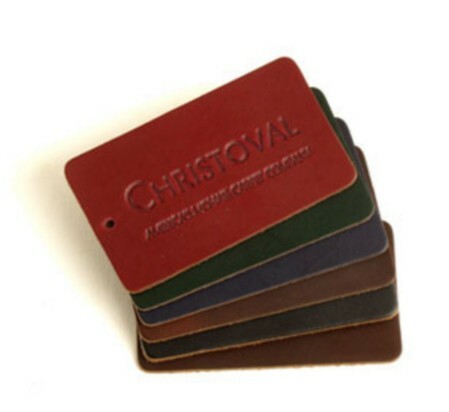 Add the luxurious look of Top Grain leather to your designs or personal belongings. Each tag is debossed or foil stamped to your specifications and the fastener hole is optional. Overall Size: 3" x 2"